“The Alley Cats, America’s premier doo wop group, have crooned their a cappella tunes all over the world since 1987. Performing the greatest hits of the 1950s and 60s, the quartet is known for their tight harmonies, but their laugh-out-loud, unruly humor keeps audiences coming back. The group has opened for Jay Leno and Jerry Seinfeld, and had the privilege of serenading President Clinton at The White House. 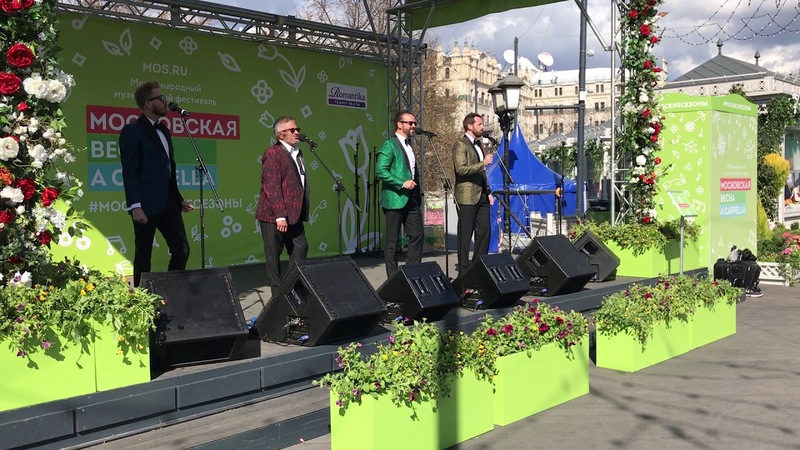 In May 2018, The Alley Cats joined 190 singing groups in Russia for the Moscow International A Cappella Festival, and came home with the first place prize! Recent review: Easy to work with, on time, and made our event very special.